A beautiful portrait of Stuart, one of our orphan lambs. 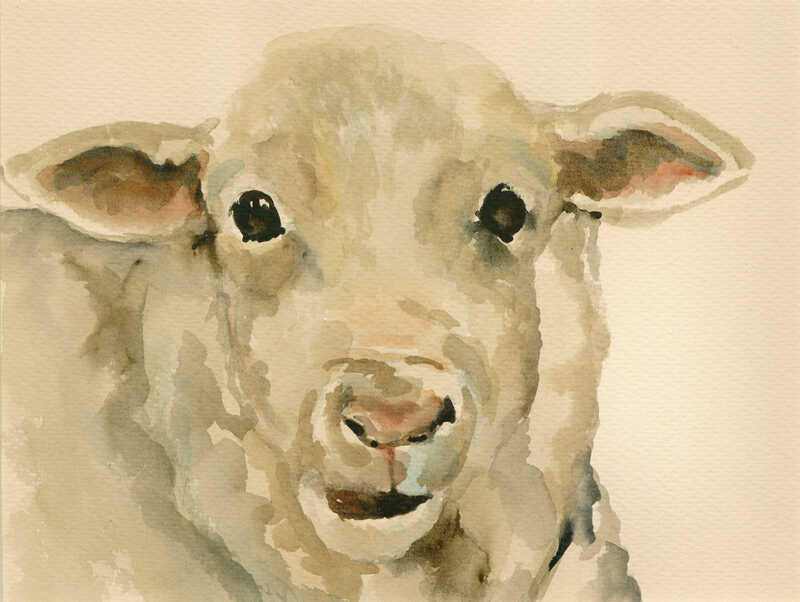 Stuart’s gentle, kind character and laid-back expression perfectly captured on watercolour by renowned artist, Chloe Cassidy (Koko Loco). Printed on Fine Art Paper (Hahnemühle). Mounted on matboard with foam backing board. Ready to frame.